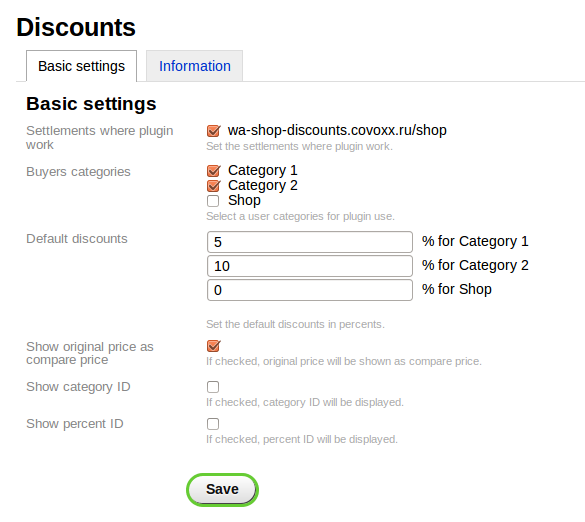 This plugin allows you to set the interest rebates for certain categories of users. Discounts can be given for each individual article, and globally for all products. 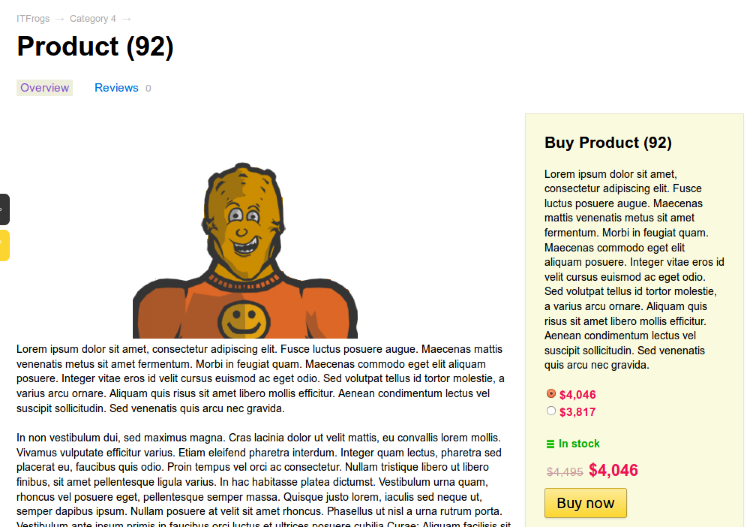 Just plug-in can display the original price as a strikeout, if any discount has been applied. Here you can choose a settlement for plug-in category, which will be used, and to set global prices by default. As we can deduce id discounts and categories for import, if there is such a need. 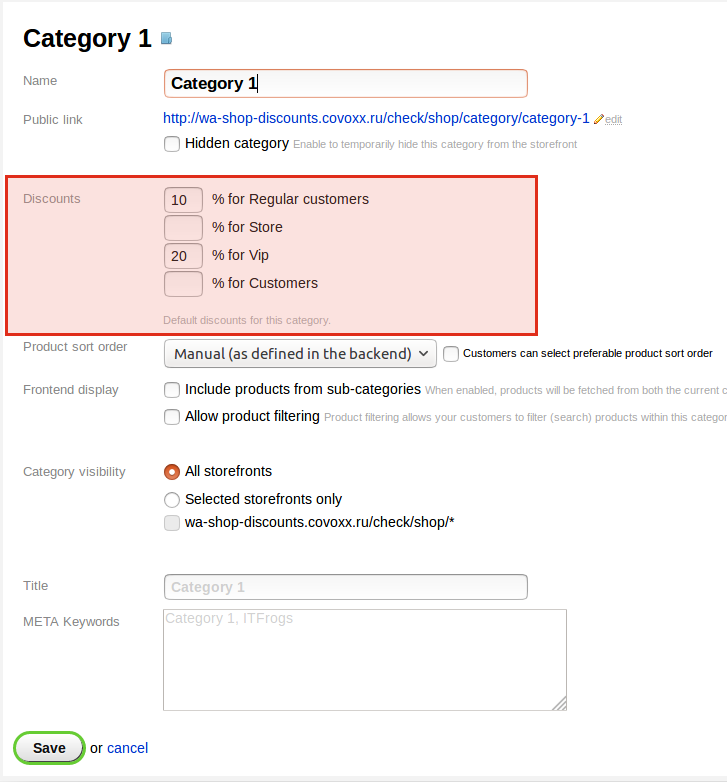 Once we configured the plug-in, we will have additional fields in each article settings. Here we set the discount percentage. They can be fractional and negative. Negative prices are perceived as a plug-in mark-up. 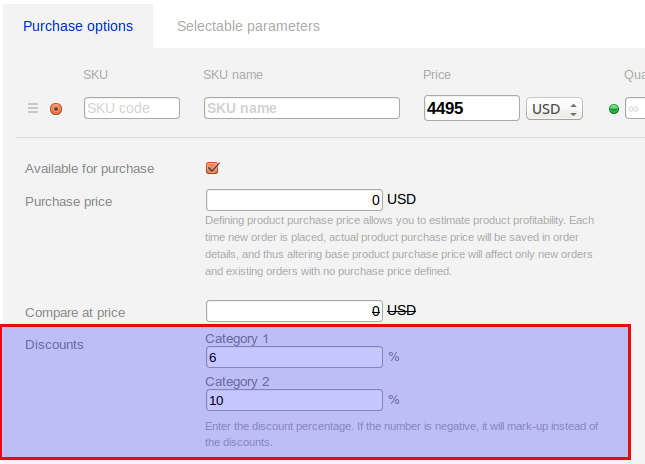 If the settings set the option "Show original price crossed out", the product will be printed in the crossed out price.